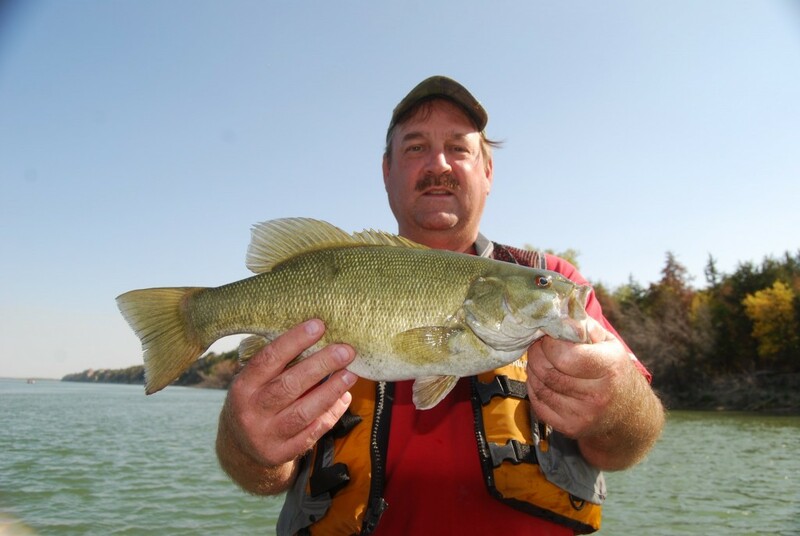 There is no doubt that black bass, largemouth bass, smallmouth bass, spotted bass, are some of the most popular sport fish in North America. That is true in Nebraska too, but do not make me pick favorites. I love ’em all and have a lot of fun fishing for a variety of species of fish. Nebraska is a great state for that! However, I have a confession to make: You may think less of me when I say this, but the truth is I do not spend a lot of time fishing for largemouth bass. Oh, there absolutely are times each year when I am targeting bass, no doubt about it. But, there are a lot of other times when I am targeting other species and expect to catch some nice largemouths as “by-catch”. I hate it when that happens! My attitude is completely different when “brown bass”, smallmouths, are involved. I love smallies, and will readily admit to you that I wish we had more smallmouth bass habitat and smallmouth fisheries in Nebraska. 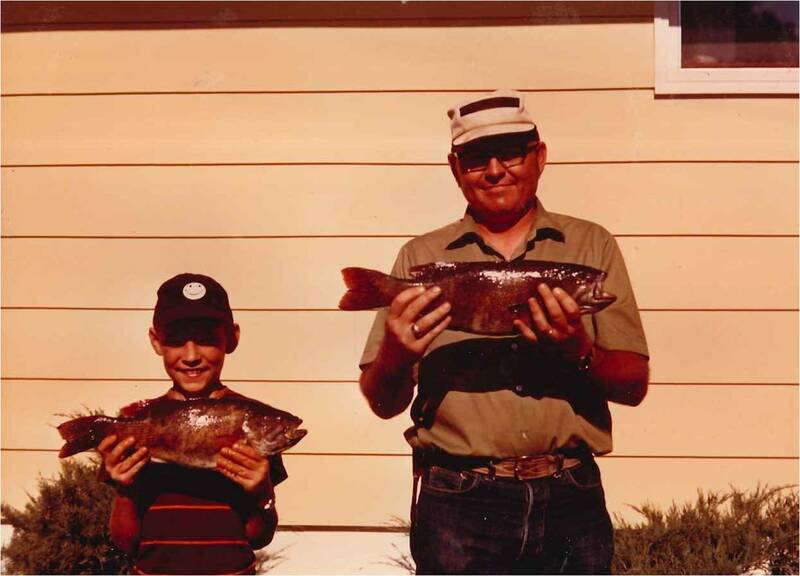 My first Nebraska Master Angler fish was a smallmouth bass caught with my Dad and Gramps from the shores of Merritt Reservoir. 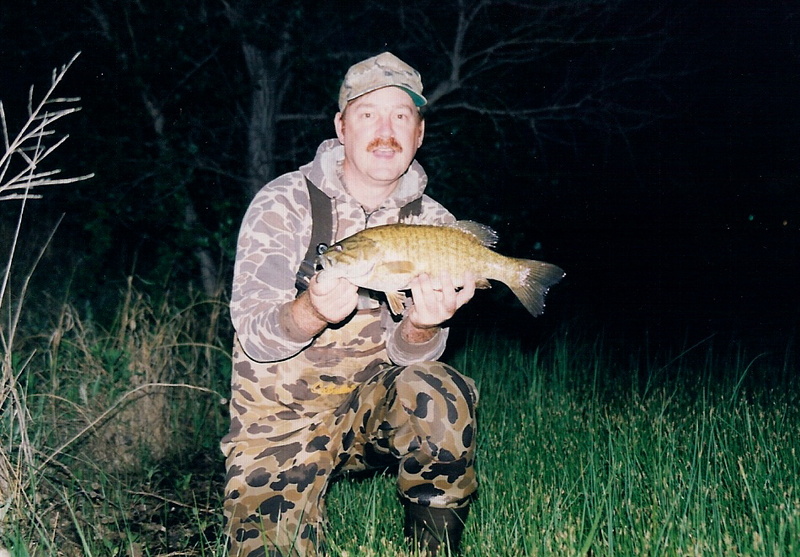 I once caught a smallmouth and largemouth of nearly identical size, a couple of pounds, within a an hour of each other, and will never forget the difference in the sporting qualities of those two fish–if tied together, the smallie would have pulled that largemouth around, easily. I cannot tell you the last time I harvested a bass of any kind, especially a smallmouth. Love ’em too much, and they are worth a whole lot more in the water! Growing up in North Platte, I had a buddy or two who all summer long would ride bikes with me to the canal on the south edge of town. If I caught one smallmouth bass out of that stretch of canal, I have caught hundreds, maybe thousands. Any of those fish larger than 12 inches were good fish, and a 14-incher was one to brag about, but two or three days a week during “summer vacation” I would be pulling smallmouth bass out of that canal. I have dried off a few smallmouth bass. 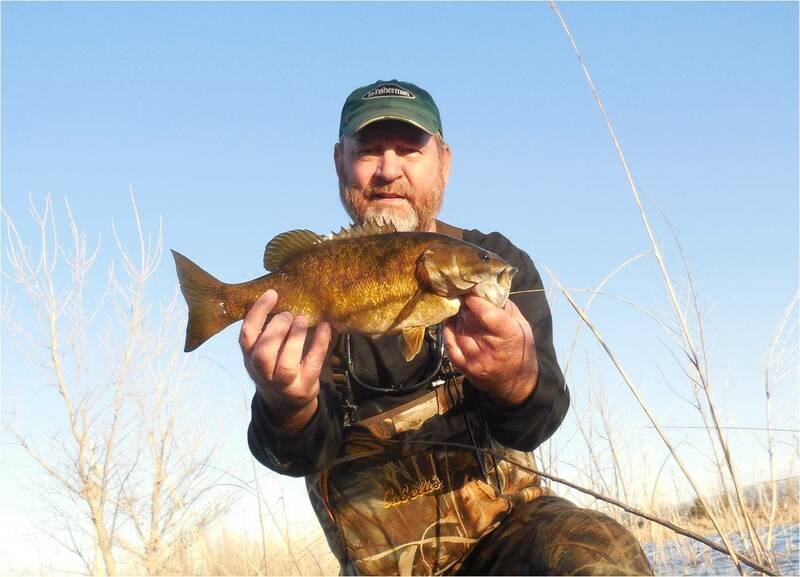 When the interstate lakes were constructed in Nebraska and first stocked, many of them were initially stocked with smallmouth bass. I am just old enough to have experienced the tail end of some of the interstate lake smallmouth fisheries and they were fantastic. In my high school and early college days, I spent many early summer mornings paddling my old float tube around those lakes catching smallies up to 19 inches. Those were great days. My Dad and I helped an old perch fisherman and his wife land a BIG smallmouth from one of those interstate lakes one time. I am betting that fish weighed 5 pounds or more if it weighed an ounce. Didn’t mean nothing to the old couple that caught it, just a bigger fillet for the frying pan! Ugh! A blast from the past. A nice interstate lake smallmouth from a few years ago. 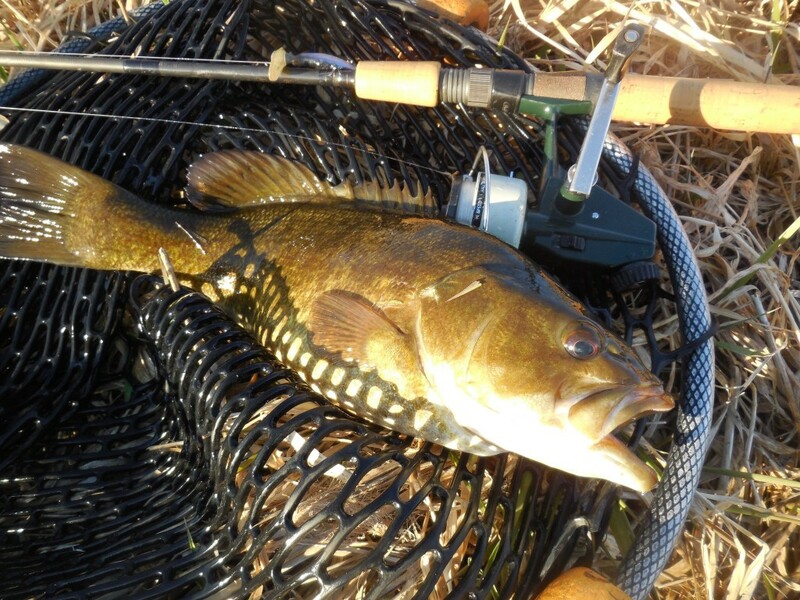 Smallmouth bass can be very successful in small pit and pond habitats. That was proven on Nebraska interstate lakes. Unfortunately, it has also been discovered that largemouth bass do a lot better in those small habitats, and if largemouth bass show up in a pit or pond where smallmouths have been successful, the largemouths out-compete and eventually replace smallmouth bass. I have several interstate lakes now where I can catch some beautiful, big, largemouth bass that years ago used to be some of my favorite smallmouth haunts. Since then, I have explored many other Nebraska waters in my quest to catch smallies. McConaughy, Merritt, Sutherland, Maloney, Johnson, even Red Willow and Enders all have a few smallmouth bass; just look for the rocky habitat. I wish I could spend years exploring and fishing the unchannelized Missouri River above, below and including Lewis & Clark Reservoir in northeast Nebraska–by far the state’s best smallmouth bass fishery. Smallies are more of a cool-water fish than their green-colored, big mouth cousins. In theory that should mean they are easier to catch in early spring. I continue to practice that belief, and in the past few years have taken several early spring opportunities to try to catch some smallmouth bass. I have struggled. My latest effort was a couple, three weeks ago, back on an interstate lake (if you want to know exactly where I was, do your homework! 2016 Fishing Forecast). Again, I struggled but late in the day finally realized that a fish was “chewing” on my bait. “Wake up, stupid! Set the hook! A 17-inch smallmouth. First bass of the year. It is going to be a good year! I love neutrally-buoyant crankbaits for a variety of fishing situations, one of them being cold-water, early spring, and fall bass. Man, I tried to feed those baits to the smallmouths again this early spring, spent most of my fishing time trying to do that. Finally, switched up to a jig and caught a fish which promptly puked-up a recently-eaten crayfish. Duh, wonder why I could not trigger any fish on the crankbaits no matter how slow I fished them? Then I only had a little bit longer to fish before dark. Next time. . . ! Brown bass in the late afternoon sun. It is going to be a good year!